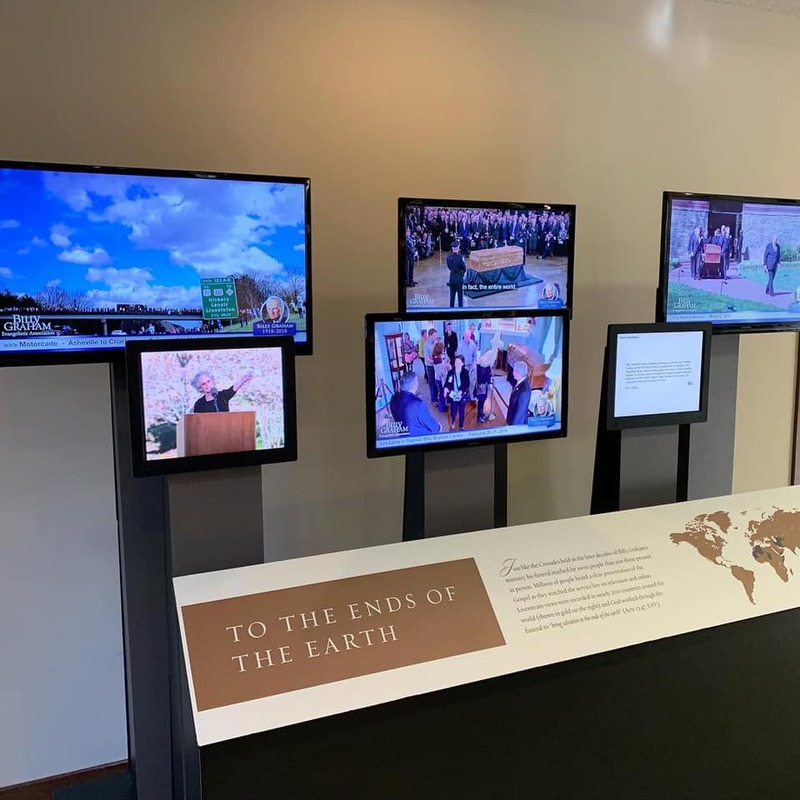 We are so honored to present to the public “An Extraordinary Journey” Memorial Display of Billy Graham at our Chatlos Memorial Chapel. 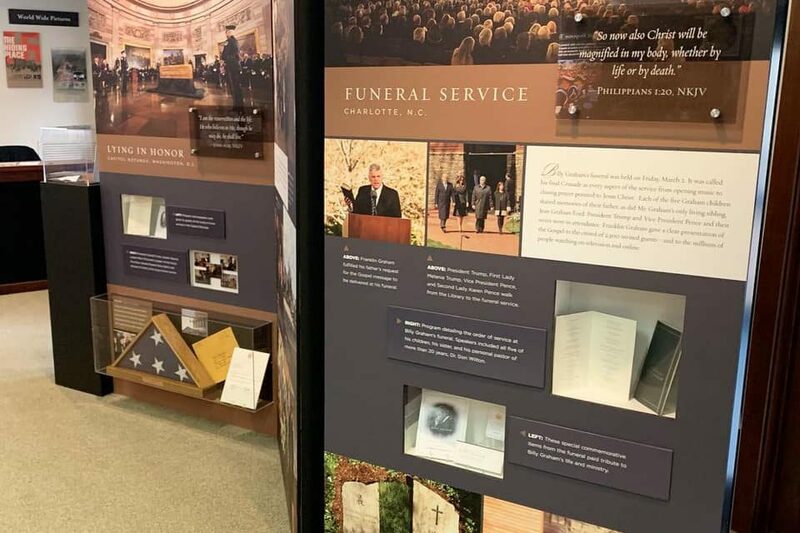 Just like the Crusades held in the later decades of Billy Graham’s ministry, his funeral reached far more people than just those present in person. 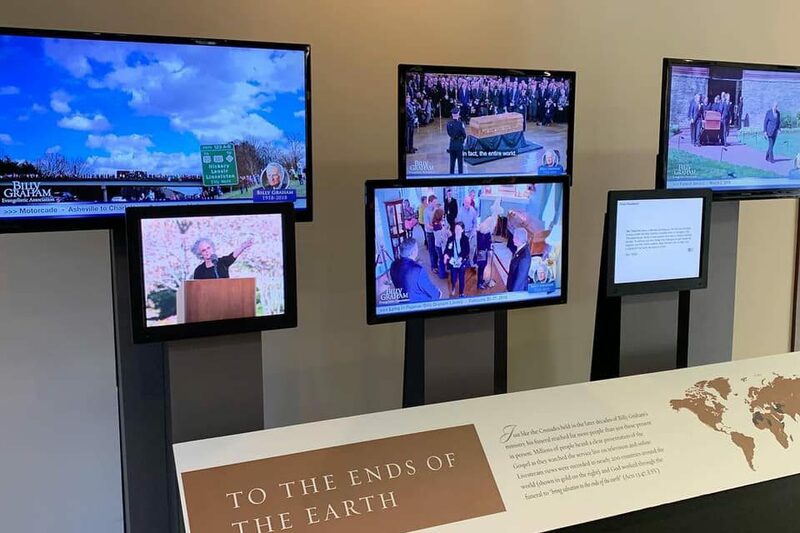 Millions of people heard a clear presentation of the Gospel as they watched the service live on television and online. 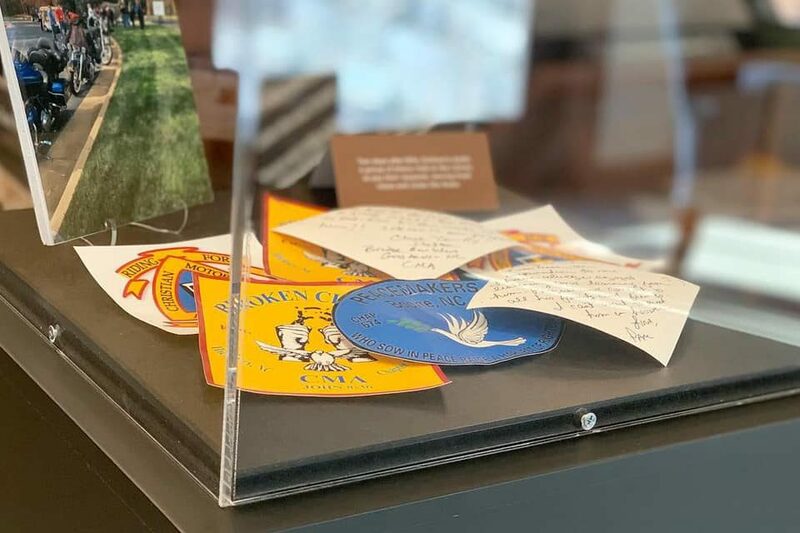 Letters poured in from all over the world of people sharing their condolences and thankfulness for Billy Graham sharing the Gospel in their city. 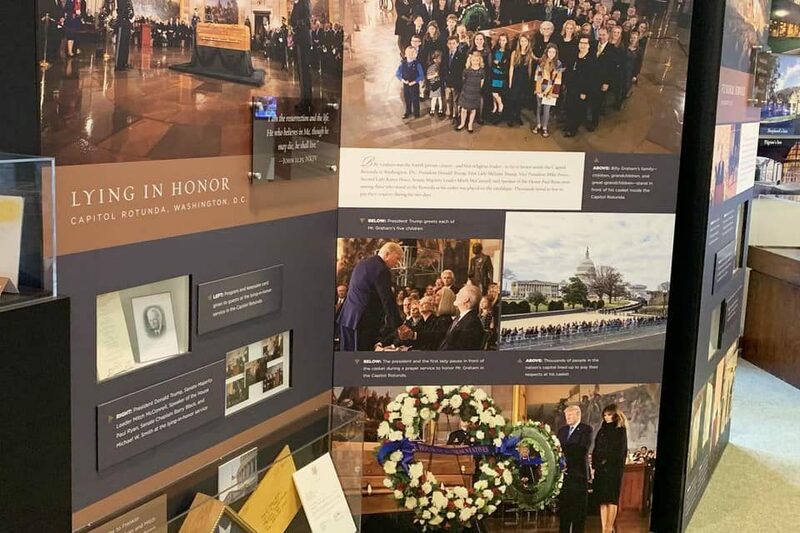 We invite you to visit this extraordinary exhibit. The Chatlos Chapel at The Cove is open Monday-Friday 9am-5pm. 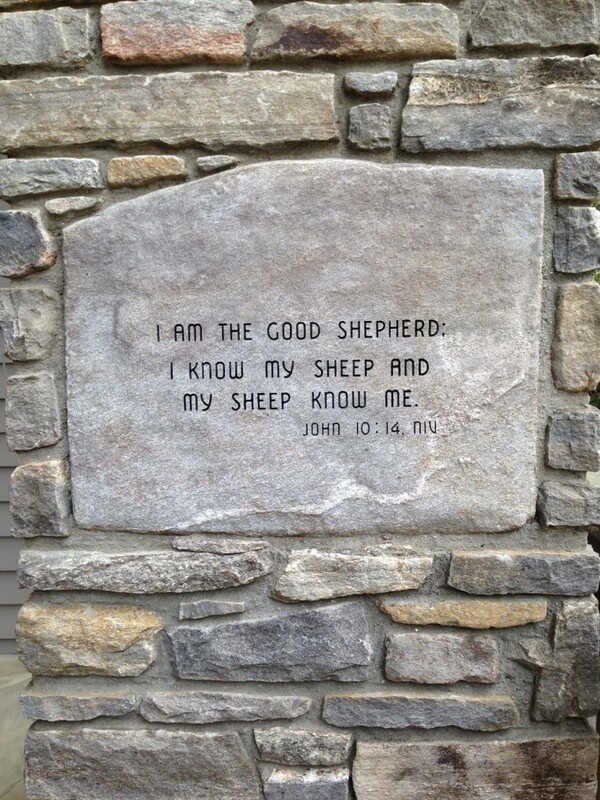 We are blessed with Scripture etched in stone on some of our buildings around the property. These remind us of the abounding love, protection and grace we receive from our Heavenly Father. The verse John 10:14 carved in stone at the entrance to Shepherd’s Inn. The verse 2 Chronicles 6:18b at the entrance to Chatlos Memorial Chapel. 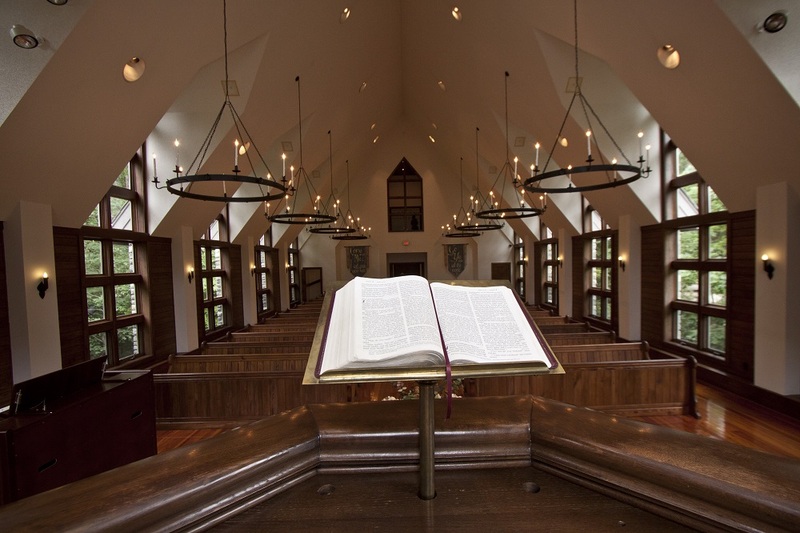 While attending your event or retreat at The Cove, make sure to allow for plenty of time to explore our property and take a moment to meditate on God’s word. Click here to view upcoming events at The Cove. Interested in bringing a group to The Cove for a special retreat, click here for information. We’ve got some serious prayer warriors that work and volunteer here at The Cove. This is Betty who celebrated her 92nd birthday this week. Betty has volunteered at The Chatlos Memorial Chapel & Visitors Center here at The Cove for 26 years! When she first started volunteering, she gave tours to our visitors. Betty is now faithfully volunteering every Friday–dedicated to praying for our visitors, guests, fellow volunteers and staff. When this picture was taken, Betty had already prayed for 481 people. No, that’s not a typo–four hundred eighty one–all covered in prayer before noon! How does she keep track? She makes a check next to their name or on their prayer request card and keeps a running tally. 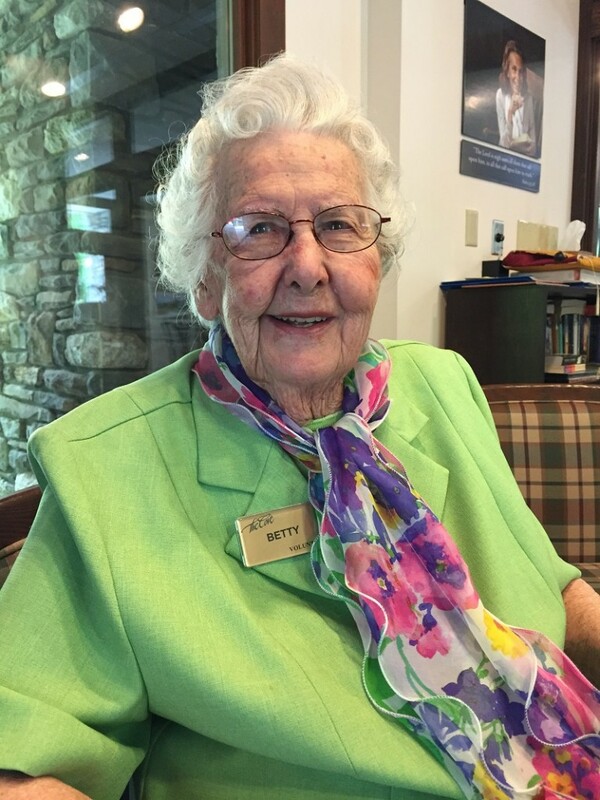 At 92, Betty is sweet, sharp as a tack and quick witted. If you are visiting us on a Friday morning, make sure to stop by and say hello to her. Fun fact: Betty earned 12 varsity letters while in high school. Would you like to volunteer at The Cove? Click here to complete a volunteer application. 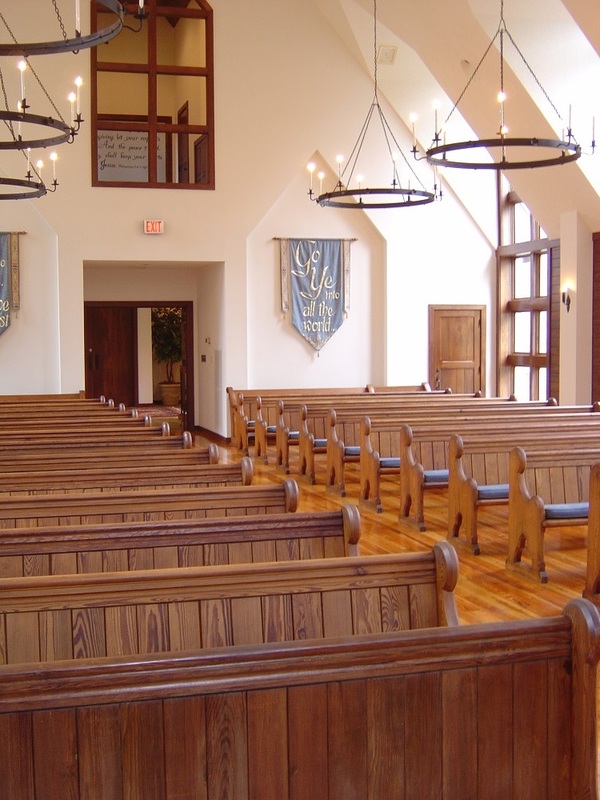 Make a plan to visit The Chatlos Memorial Chapel & Visitor’s Center. Tours are free. Click here for hours of operation and directions. On a misty, overcast Friday morning in early April I walk the wide gravel path up to the Chapel. 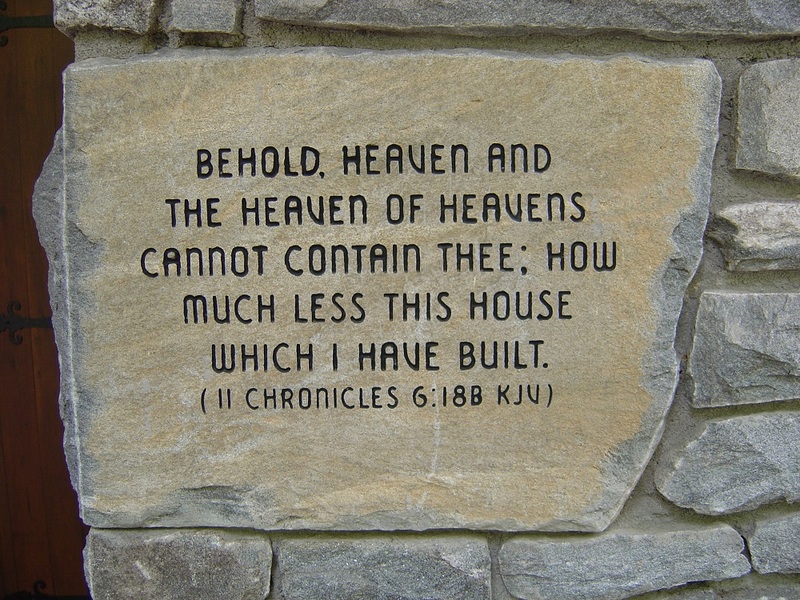 Pausing just outside the doors of heavy black walnut I read again the Scripture carved into a heavy stone mounted to the right of the entrance: “Behold, heaven and the heaven of heavens cannot contain Thee; how much less this house that I have built” (2 Chronicles 6:18, KJV). Once inside, I walk across the heavy stone floors and into the sacred space of the Chapel sanctuary, a beautiful space that exudes a simple yet solemn reverence without stuffiness or pretense. Tall, expansive windows allow the beauty of God’s creation to enter and speak volumes to the soul. The gleaming wood of the walls is in perfect harmony with the natural beauty outdoors. From floor to ceiling the eye and the heart are drawn upward. Is this what Mrs. Graham intended? 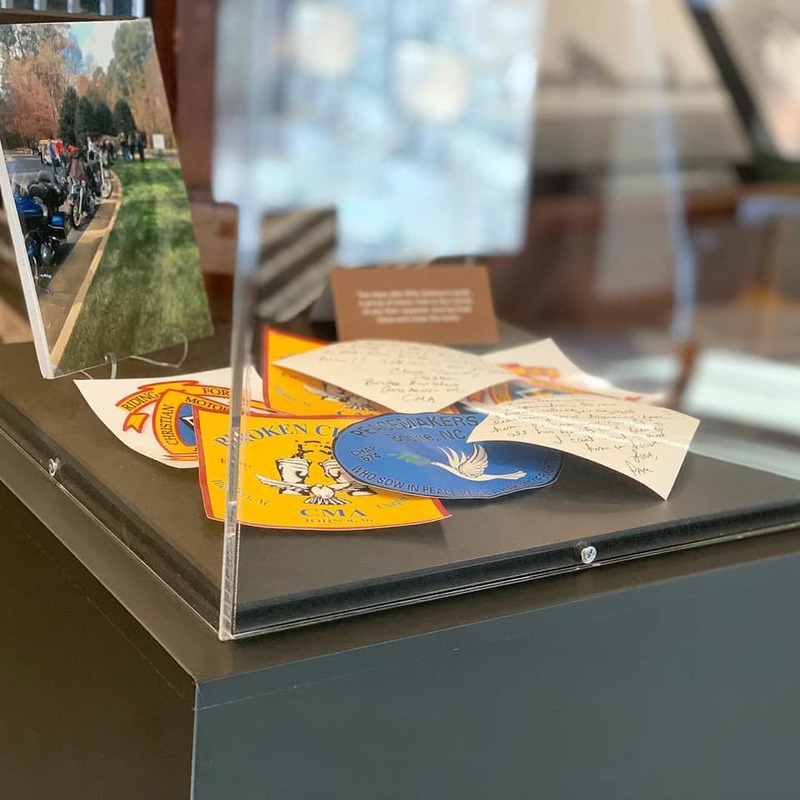 On staff at The Cove for more than five years, I’ve heard the stories about the history of the Chatlos Memorial Chapel—how Ruth Graham had a hand in its design and plans. Her gracious spirit, love of beauty and appreciation for rustic, local handcrafted woodwork are seen in charming touches throughout The Cove. 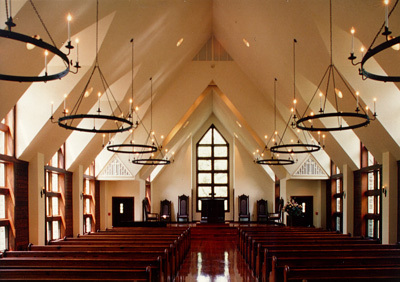 But above any other location on The Cove’s property, many feel the Chapel brings us closest to seeing the world through Ruth’s eyes. “And what if they are?” I ask. “If there’s a group, I always ask if they’d like to hold hands, and then we pray. Right here under the steeple,” Mable explains. “All of us have problems,” she notes. 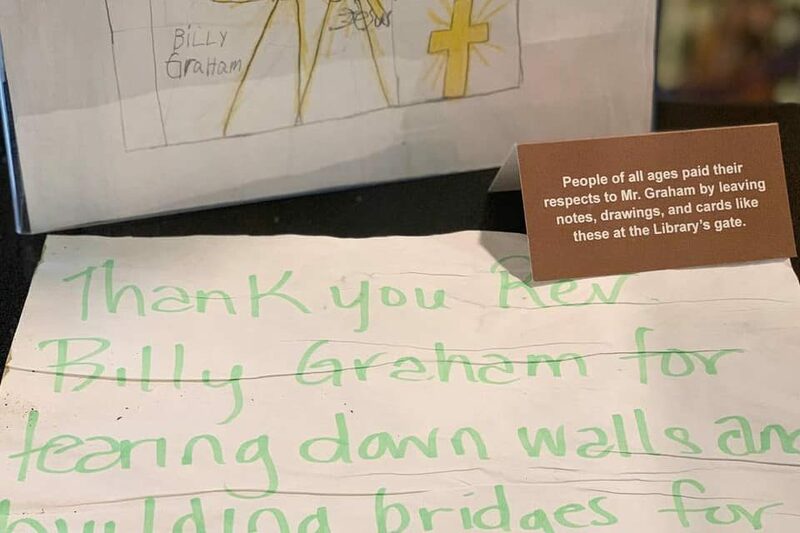 “Sometimes so many hit us at once that we’re almost afraid to look up!” Sitting here in the quiet of this small prayer room, directly beneath the 87-foot steeple with its 8-foot cross, I’m sure this is what Ruth Graham intended. She intended for us to look up. As Jerry relates, the crane rose higher and higher; but every time he looked at Mrs. Graham she said it wasn’t high enough, so the contractor was told to keep going. Finally, Mrs. Graham’s lofty goal was reached and she nodded her approval. The steeple was built to a height of 87 feet, with an 8-foot-tall copper cross on top. 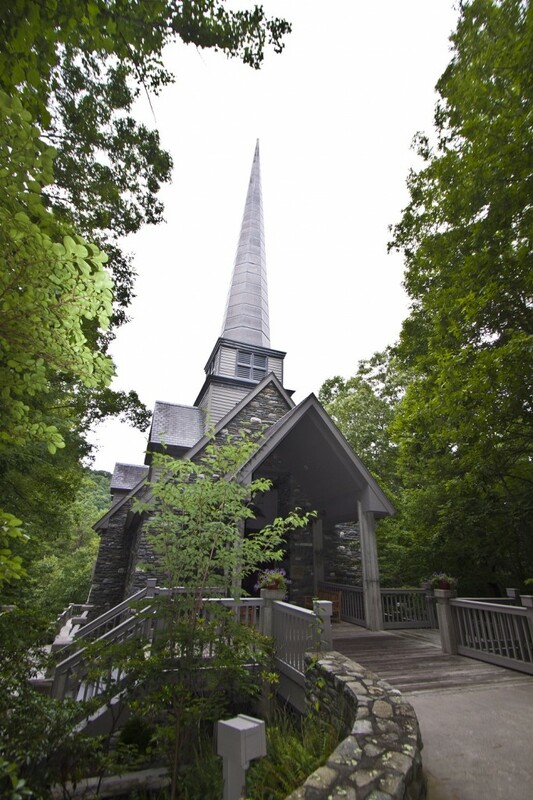 On this warm April day, the steeple with its cross towers above The Cove’s green canopy of trees, inviting us to look up and seek our Creator, whom “the heaven of heavens cannot contain.” And Mabel, just one of an army of faithful volunteers, points visitors heavenward. Exactly as Ruth intended. Thank you for your faithful service in helping us carry out our mission of training people in God’s Word to win others to Christ. 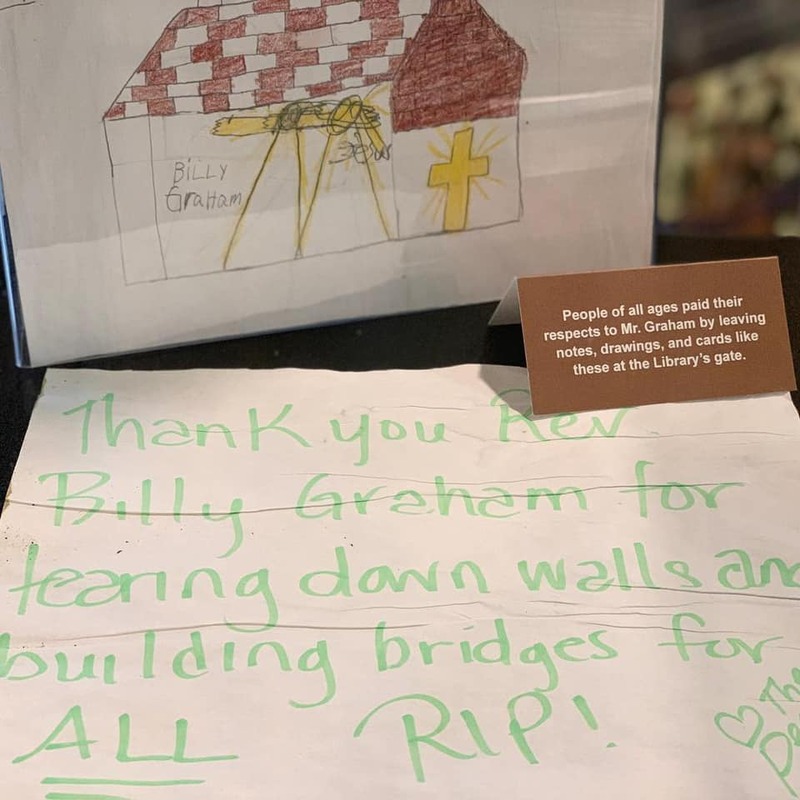 The Billy Graham Training Center at The Cove has a large number of volunteers who assist us in all areas of operation. 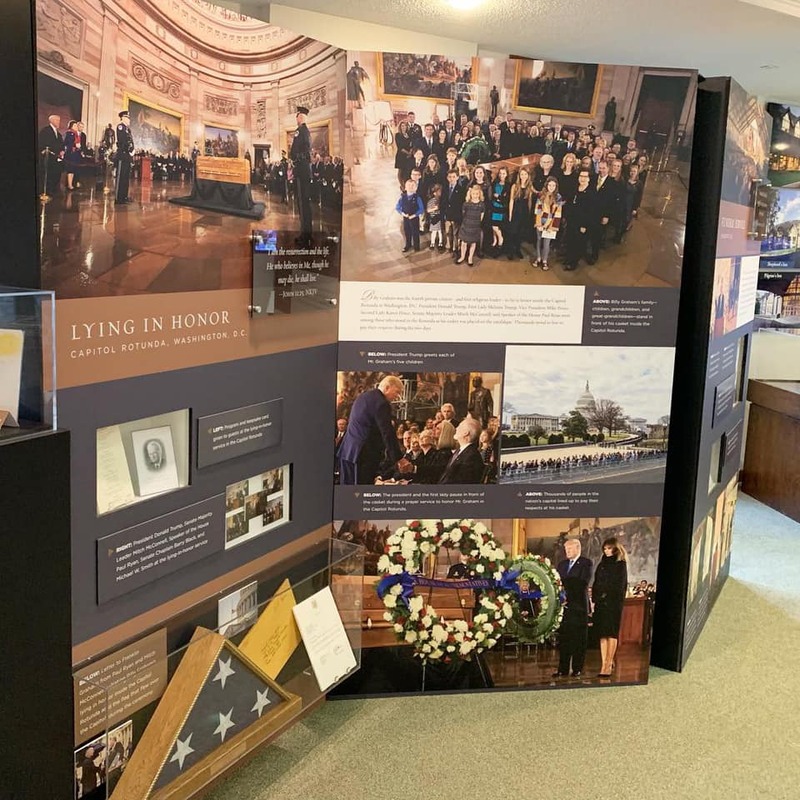 Among these are 84 volunteers who help us greet visitors at the Chatlos Memorial Chapel and Cove Visitors Center. 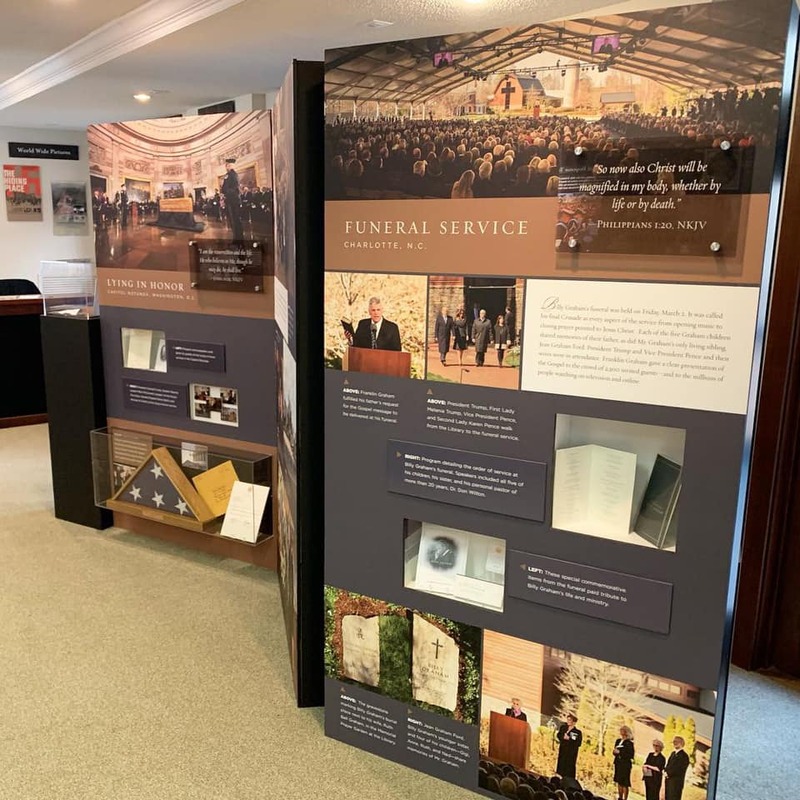 Click here for information and hours for the Chatlos Memorial Chapel and Visitors Center. If you would like to volunteer at The Cove, click here to complete the volunteer application.